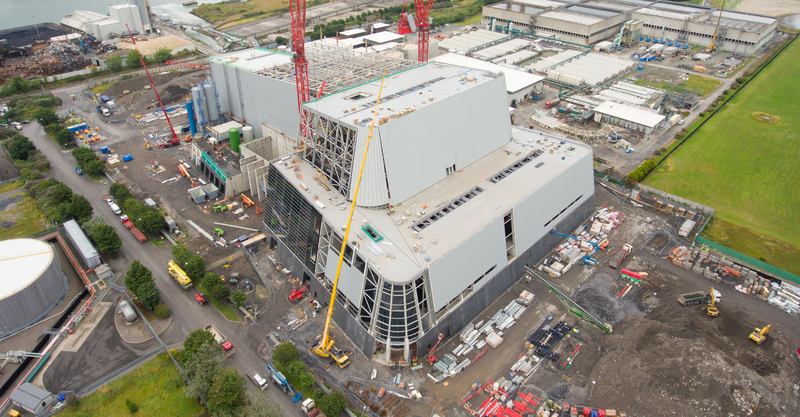 Arkoni Ireland has been involved in one of its largest projects to date with the supply of glazing components for Dublin’s Energy from Waste plant at Poolbeg. Owned by Covanta, the plant is expected to open in early 2017 and will treat up to 600,000 tonnes of waste annually providing electricity for upwards of 50,000 homes. Arkoni Ireland MD Frank Flynn commented: “This was a supply only contract with Dublin Waste to Energy Ltd for glazed components designed to form three new control room windows within the new power station’s waste bunker. We redesigned the client’s brief to provide 2 hour integrity fire resistant glazing manufactured from Jansen VISS fire rated curtain walling sections that were shipped over to Ireland in stick form and Schott Glass UK Pyran S glass. The steel sections were prepared and painted with a special process to provide a 25 year life expectancy. External finishes to the bunker side were all 316 grade stainless steel with cleaning access provided by the contractor,” added Frank.